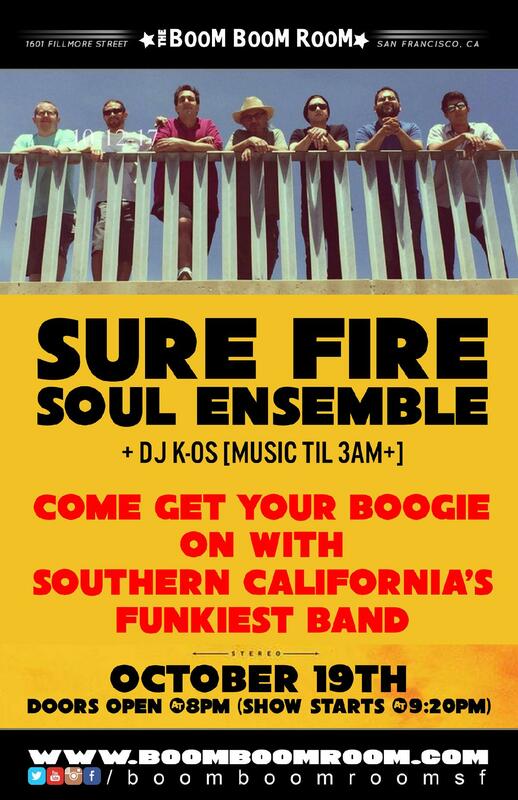 The Sure Fire Soul Ensemble was born in 2012 from the San Diego area including: Chris Lea on sax/flute (Miguel Atwood-Ferguson Orchestra,) Kiko Cornejo Jr. on congas (Quetzal, Makina Loca,) local SD Latin Jazz legend, Bill Caballero, on trumpet, Nick Costa on guitar, Matt LaBarber on bass (K23 Orchestra,) Peter Williams on drums, and my wife Sheryll Felten on shekere. Under my direction, we started with some material I had been working on for a few years, and before too long began writing new tunes collaboratively. We added young sax/flute talent, Jesse Audelo (In Motion Collective, San Diego Symphony) shortly after. Now 5 years, four 45rpm singles, and 2 full length albums later… we have had the opportunity to perform all over California and Oregon; both headlining and opening for many of the best bands in any genre. We have held down several monthly residencies in San Diego and have had very regular appearances at The Boom Room Room in San Francisco. We have also partnered with one of the top independent Funk/Soul labels in the world: Colemine Records. Other notable bands that have released music with Colemine include: Orgone, Jungle Fire, Durand Jones and The Indications, and The Monophonics. 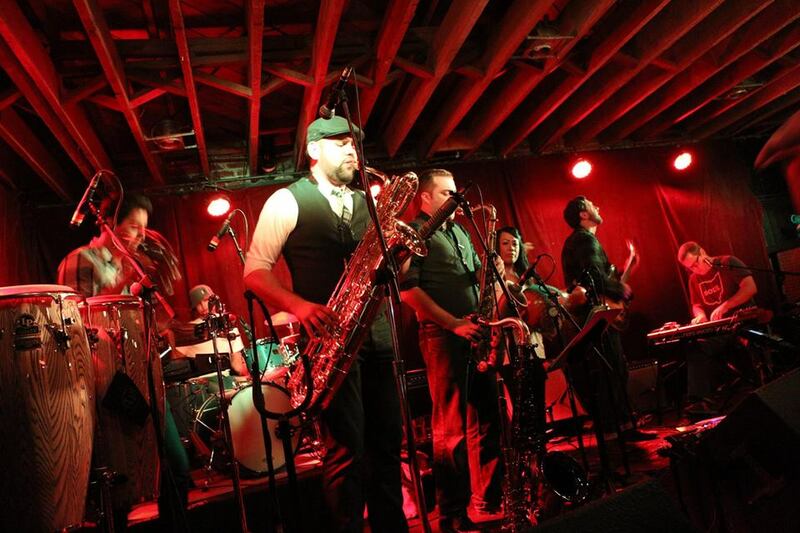 ...a heavy, original, instrumental soul band based in San Diego. They draw influence from the masters of the style from the past and modern day, including: The Meters, Isaac Hayes, El Michels Affair, Mulatu Astatke, Budos Band, The Nite Liters, Menahan Street Band, Fela Kuti, and The Poets of Rhythm. In June of 2015 they released their debut self titled album on Colemine Records. The album was very well received and made many "Best of 2015" lists including Reddit, Staf Magazine, and KMHD. The album also won a San Diego Music Award. SFSE has shared the stage with Lee Fields and the Expressions, New Mastersounds, Monophonics, Kamasi Washington, and many other touring bands. They perform live regularly all over California and beyond.